Every time I come to write something about privacy on the web, another social platform changes its private policies accompanied by widespread outrage in the social web demos or another app is exposed for its leaking - or selling - personal data to marketers or the authorities. Then governments in Canada and the U.S. decide to introduce controversial legislation (Bill C-30 and SOPA respectively) that threatens our ability to control the uses of personal information, expands the concept of lawful access to give authority to police forces to probe this information, or sidesteps concepts like meaningful consent. Which made me somewhat apprehensive about taking on writing a chapter for a university textbook called Communication in Question, Second Edition which will be released in 2013 and is ably edited by Josh Greenberg, associate professor, School of Journalism and Communication at Carleton University. The chapter is called "Social Networks and Privacy: Should Government Be More Interventionist in Protecting Personal Privacy?" The publisher, Nelson Education Ltd., and the editor have given me permission to post the as yet unedited chapter here at The Intangibles. I will serialise it over the next few weeks since it is a bit long for a single post, and I promise to publish a section each week until done. Any comments here about my opinions could conceivably become part of an edited version . . . so let's have at it! 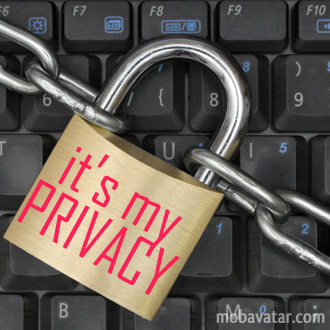 Should personal privacy be protected on social networks? Should the government be more interventionist to assist in this? The answer to the first is yes: to the second no.